Dr. Carlos F. Rios-Bedoya is the Corporate Director of Scholarly Inquiry at McLaren Health overseeing research across 13 health care facilities with over 30 residency programs in Michigan. Dr. Ríos-Bedoya has been a principal investigator and co-investigator in several highly competitive federal (CDC), state (Michigan Department of Community Health), and private (Pfizer, Gilead, and Boehringer-Ingelheim) funded grants in the areas of HCV, drug use epidemiology, clinical trials, mental health, and mobile technology. Dr. Rios-Bedoya has an extensive publication record in peer-reviewed journals on the field of legal and illegal drug use on topics such as HCV/HIV, statistical methods, use of mobile technology, and differences across Hispanic groups. Dr. Carlos F. Ríos-Bedoya graduated in 1986 from the University of Puerto Rico, Río Piedras Campus, with a Bachelor of Science (B.S.) degree majoring in biology. In 1987, he finished a Master in Public Health (M.P.H.) with a concentration in epidemiology also from the University of Puerto, Medical Sciences Campus, and in 1999 he completed his doctoral training (Sc.D.) in Psychiatric Epidemiology with a minor in biostatistics from The Johns Hopkins University’s Bloomberg School of Public Health. He did a three-year post-doctoral training (2004-2007) as a National Institute on Drug Abuse (NIDA) fellow on the quantitative aspects of drug dependence epidemiology from The Johns Hopkins University’s Bloomberg School of Public Health. He has been a faculty member of the Ponce School of Medicine (1994-2004), the San Juan Bautista School of Medicine (2012-2014), and the College of Human Medicine at Michigan State University (2007-2015). 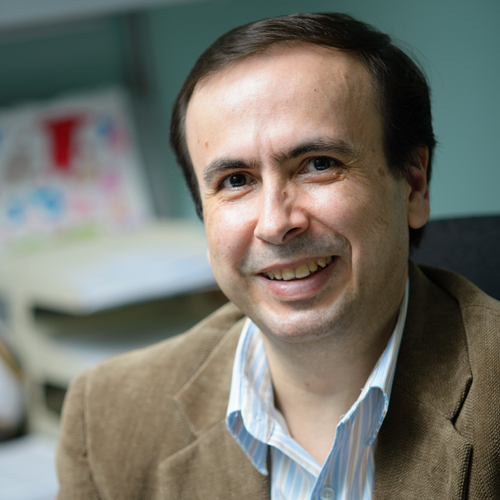 Dr. Ríos-Bedoya has been invited to present his research at national and international meetings. He currently serves as grant reviewer for the Florida Department of Health’s Multi-Disciplinary, Multi-Institutional and Community-Based (MMC) Grants Program and for the Substance Abuse and Mental Health Services Administration (SAMHA). He is also a reviewer for several of the most prestigious peer-reviewed journals in drug use research (e.g., Nicotine and Tobacco Research, Addiction, Drug and Alcohol Dependence, Psychology of Addictive Behaviors, Addiction Medicine, and American Journal of Preventive Medicine).